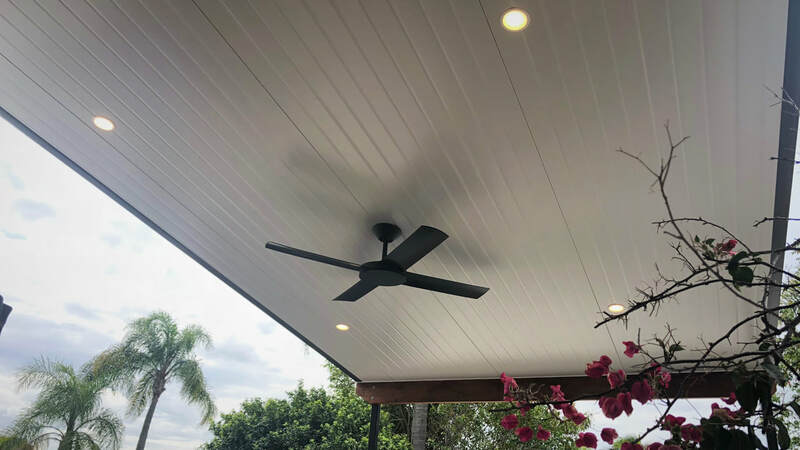 Every time we complete a project with a Stratco Pavilion Grande we, and our customer, are blown away with the finished product. 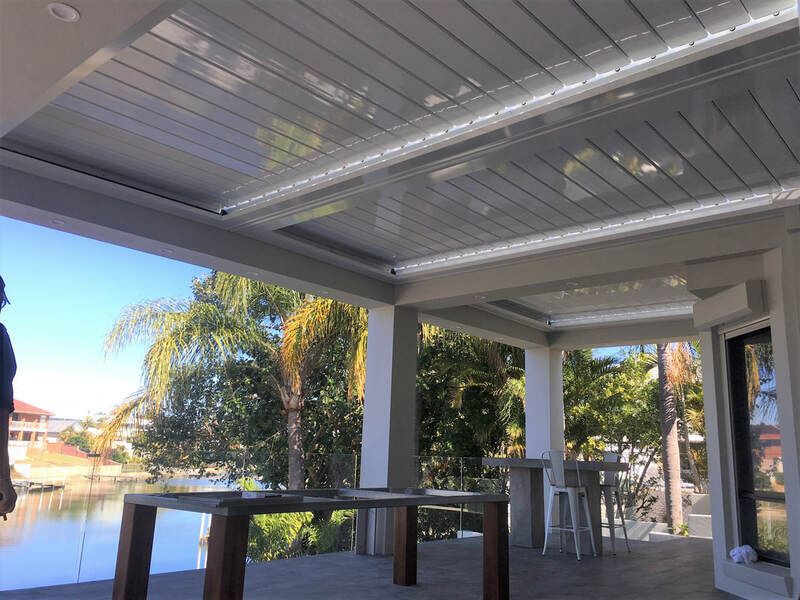 There simply isn't any other Patio system that comes close to the finish of the Stratco Pavilion Grande. 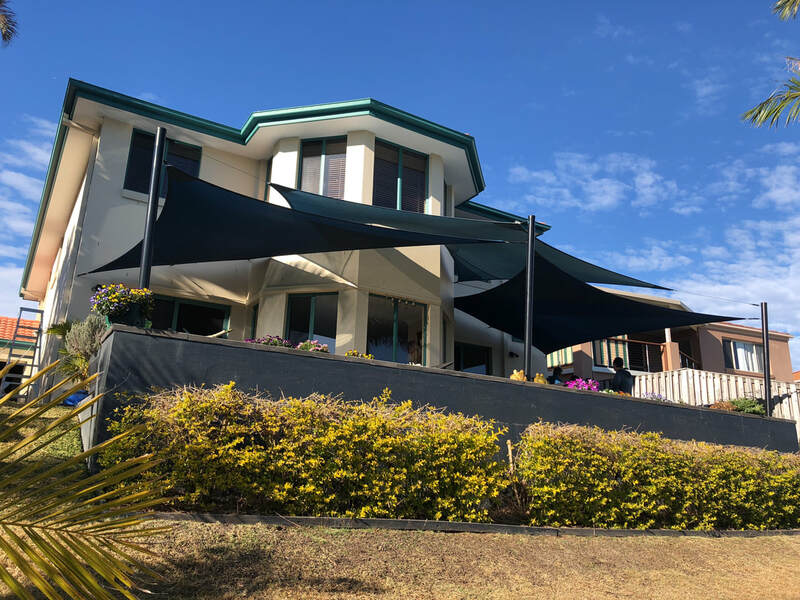 As you can see from the before photos, the previous area was covered in shade sails which didn't provide the full protection of a patio from the elements. 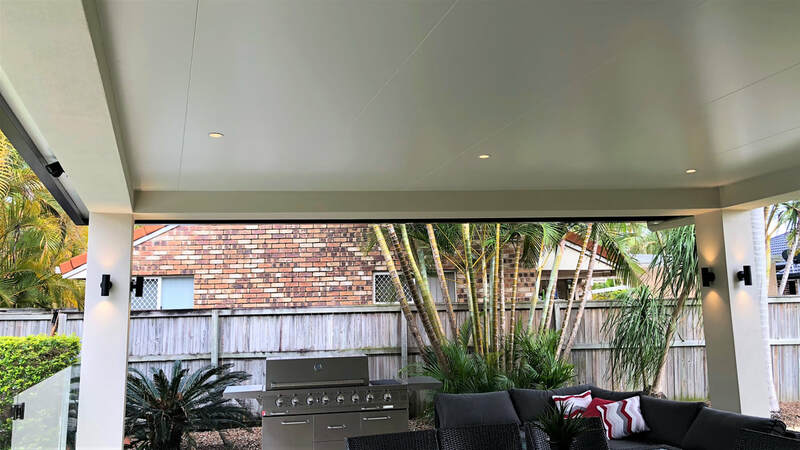 The new Stratco Pavilion Grande has extended the inside out and created an all year round entertaining area featuring a Cooldek Insulated Roof, Remote control Stratco Ambient blinds to provide privacy and protection from the weather, LED downlights, LED feature up/down lights and fans. 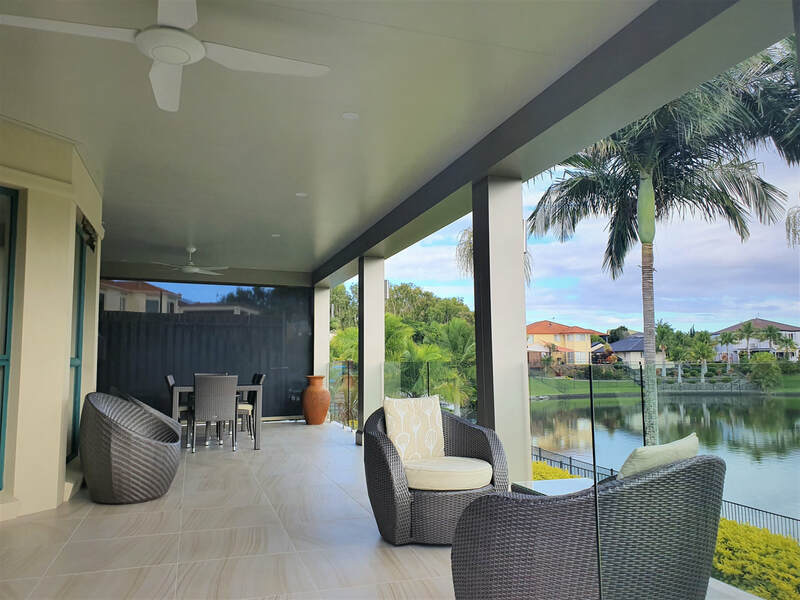 If you want the BEST patio on the market, the Stratco Pavilion Grande is the only choice! We completed an identical job to this right next door 6 months earlier. 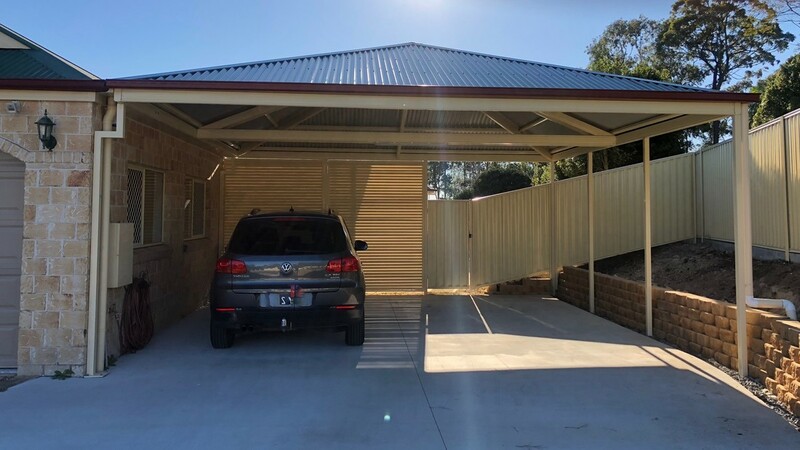 This neighbour was absolutely thrilled with their neighbours patio they just had to have one themselves! 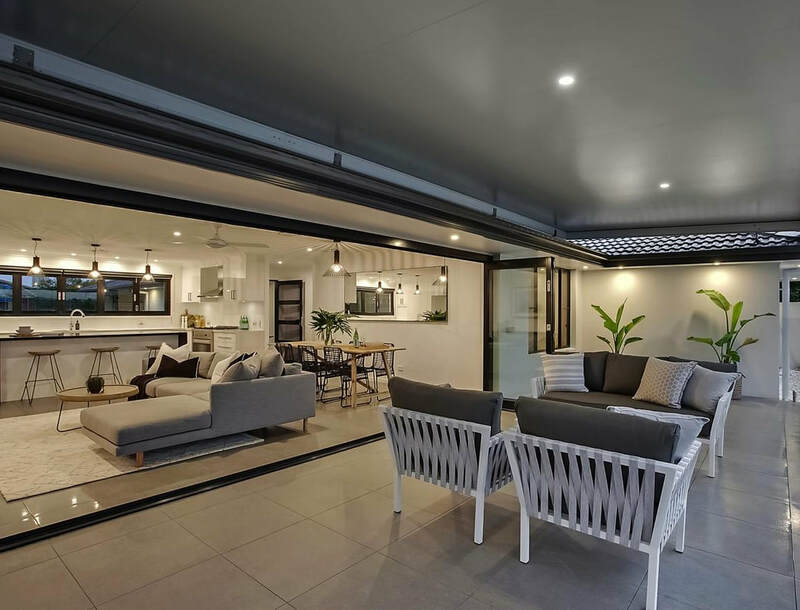 Do you have a new house but the builder hasn't incorporated a suitable outdoor space? 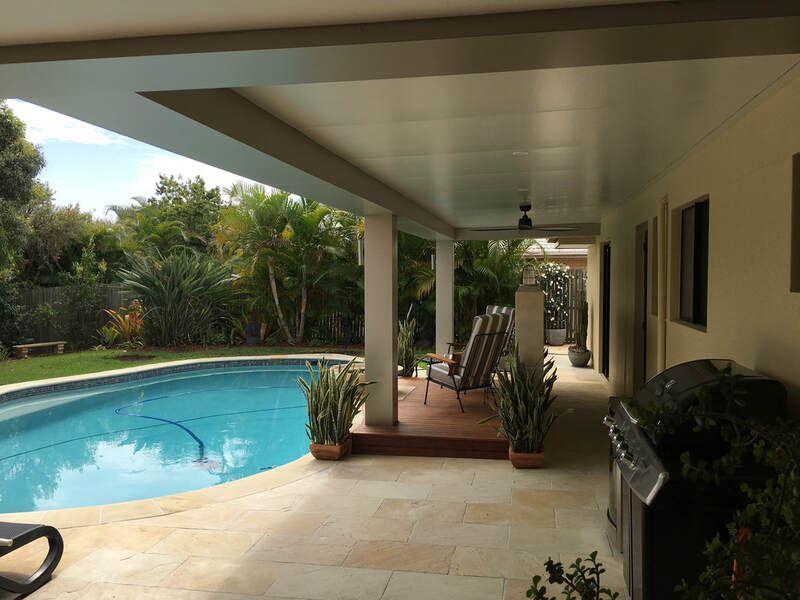 This newly developed area in Palm Beach only had a retractable fabric awning installed on each home. 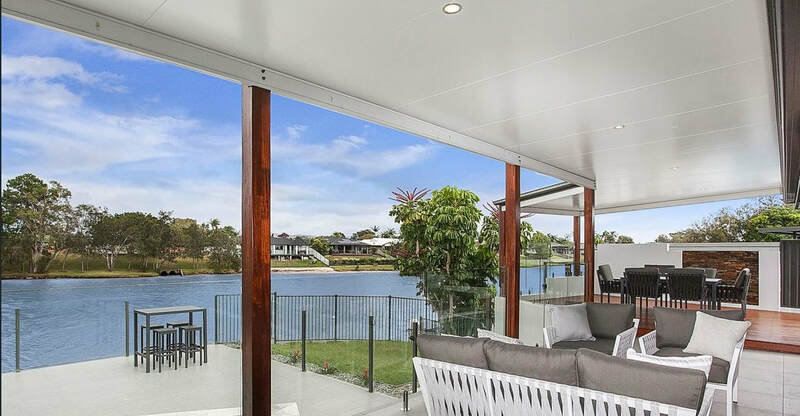 Certainly not suitable for the QLD storms or outdoor life we like to live! 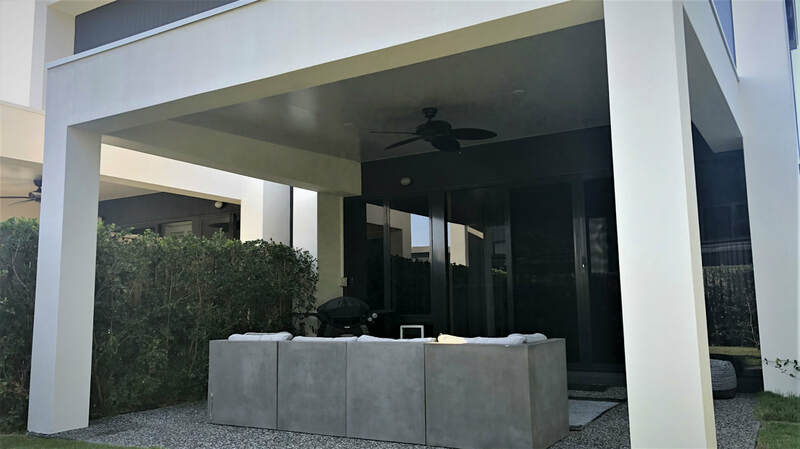 In Style Patios helped this client design and build a permanent outdoor living zone that matches the home and development seamlessly - Bulkhead design patio. It also looks like it was there from the start! 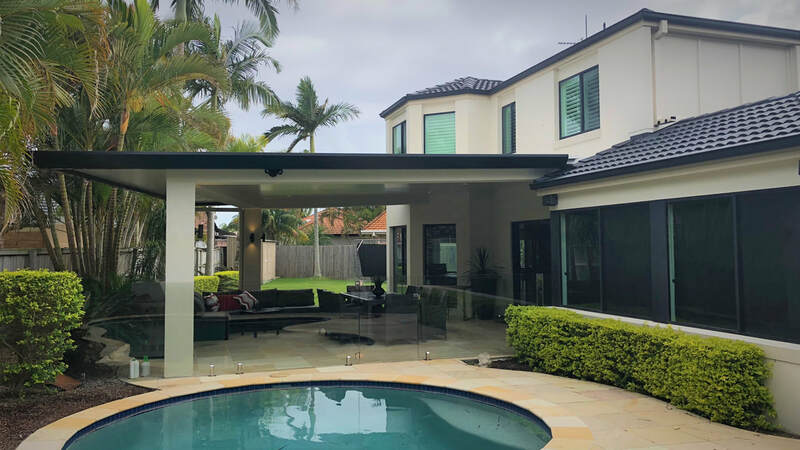 We utilised parapet walls to hide any of the roof sheets and gutter, secretly installed the downpipe in the column so it cannot be seen from the outside and added a Stratco Cooldek Insulated roof. Everything was finished off with a rendered finish and painted to match the home. The added LED downlights and fan also ensure that every moment outside is as comfortable as it can be. Would you please let Mike know that we are absolutely delighted with our new Patio roof. Matt was just the best ambassador for your company and Sheldon worked hard under Matt’s guidance. Matt was so professional the work was faultless, the finish is better than we had imagined. Scott the electrician was just as professional and work was completed to perfection. We are so pleased we chose In Style Patios and will definitely recommend your business to our friends. I will email photos of the before and after area once we have had the new concrete laid and glass pool fence installed. The transformation from wasted space to entertainers paradise is complete at one of our final projects before Christmas. 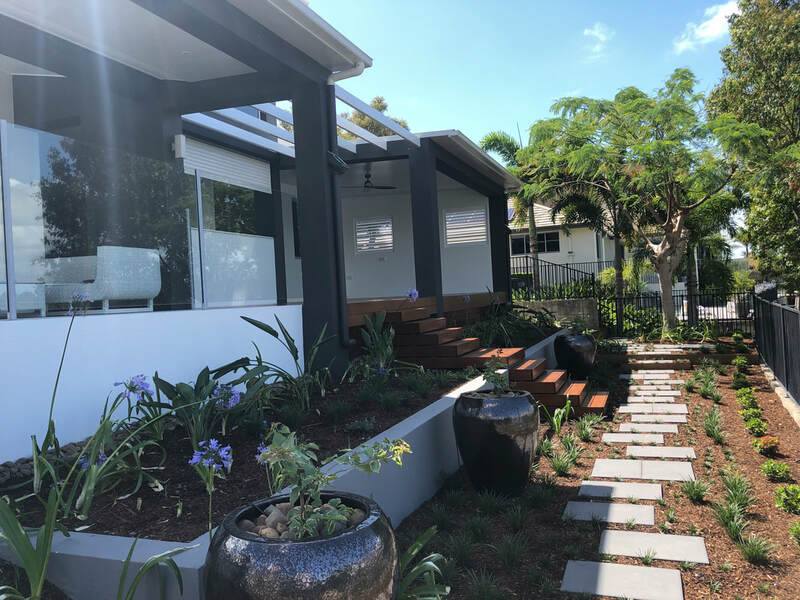 A complete backyard makeover was in order for this home, going from an unusable sloped grassy hill with a small entertaining area, to a new fully functional entertainers backyard. 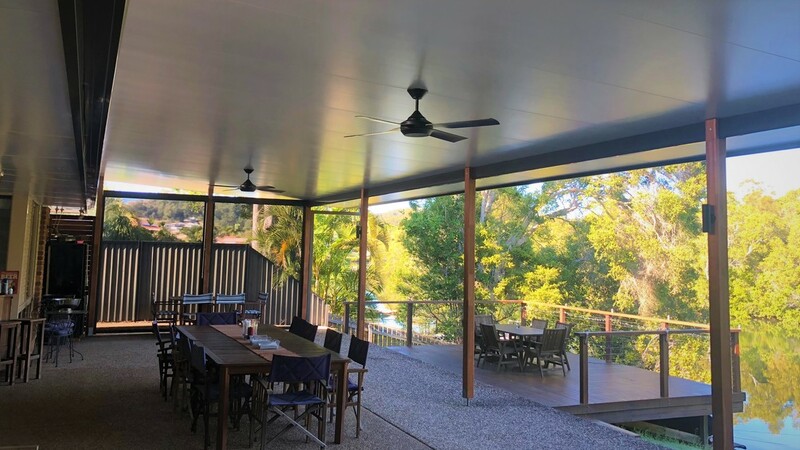 We utilised Stratco Coodlek Insulated roofing, rendered bulkheads with brick piers and a timber deck with 140mm Merbau decking boards. 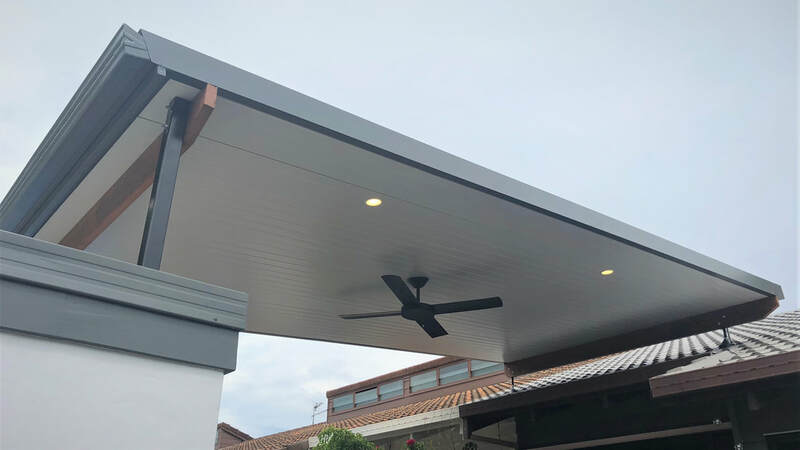 We finished the project off with LED downlights, a ceiling fan, and side wall for privacy and so an inbuilt kitchen can be installed. 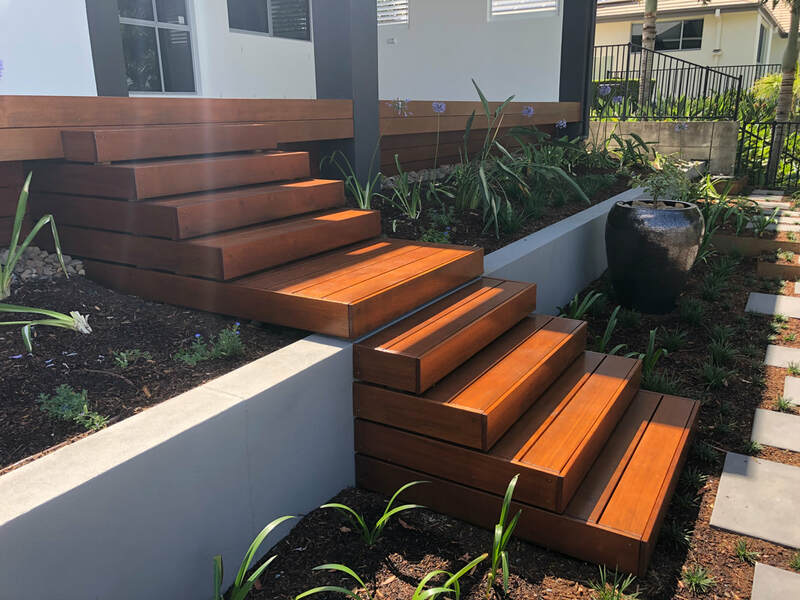 We also installed timber stairs to link the upper entertaining area with the lower gardens which have been redesigned to complete the whole backyard upgrade. 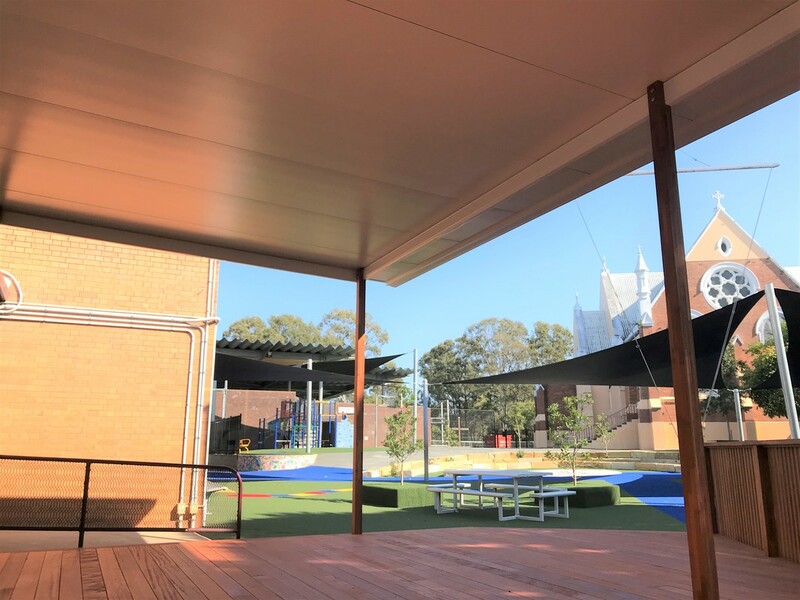 WOW is the exactly word that describes the transformation of this outdoor zone. 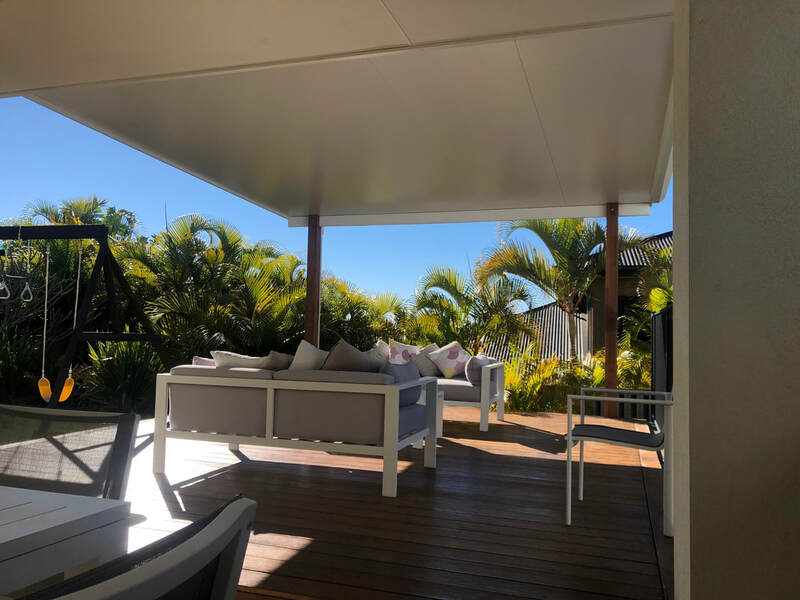 This area previously had 2 shade sails providing some shaded space to their entertaining area, but if the weather turned, everything had to come inside.....including the party! 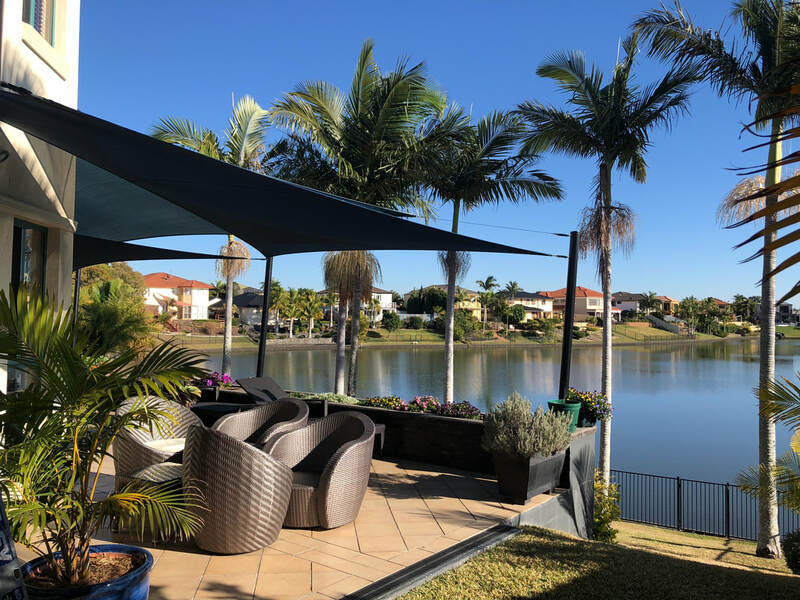 We transformed this area into a all year round, no matter the weather conditions entertaining oasis which ties in perfectly with the existing house. 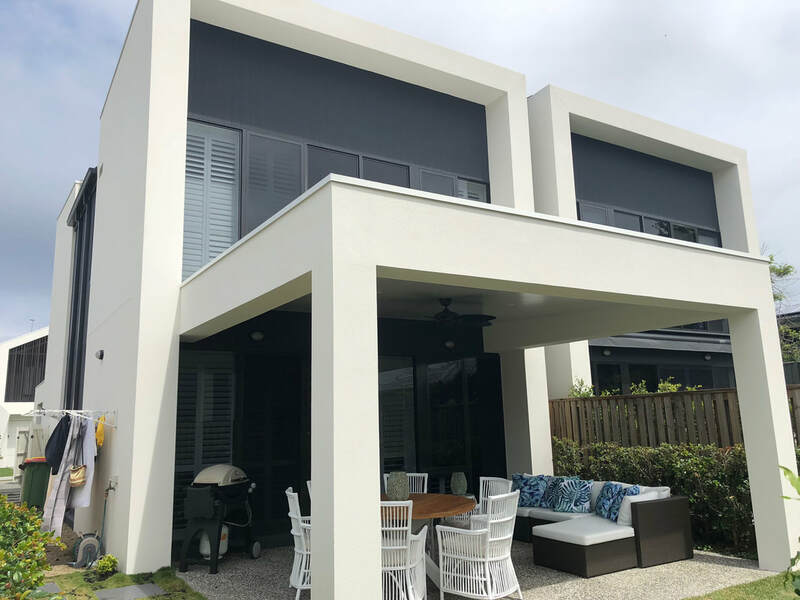 We utilised 350x350 Brick piers and 350x200 bulkheads all rendered and painted to match the property. 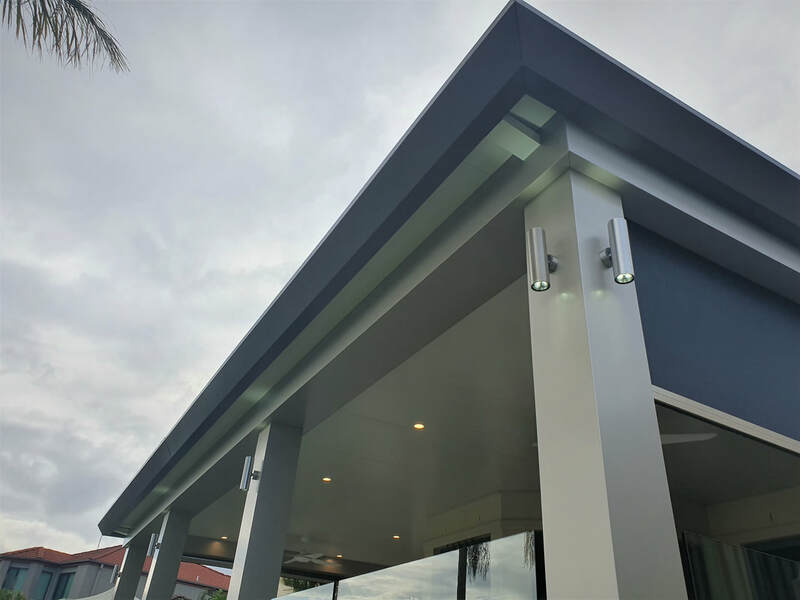 Matched with Stratco Cooldek Insulated roofing, Stratco Edge Gutter and LED downlights and up/downlights to set off the mood nicely. This site also had some tricky design restraints - an underground sewer line running along the back fence. This required us to taper the bulkhead patio to maximise the space, but also comply with local council rules. 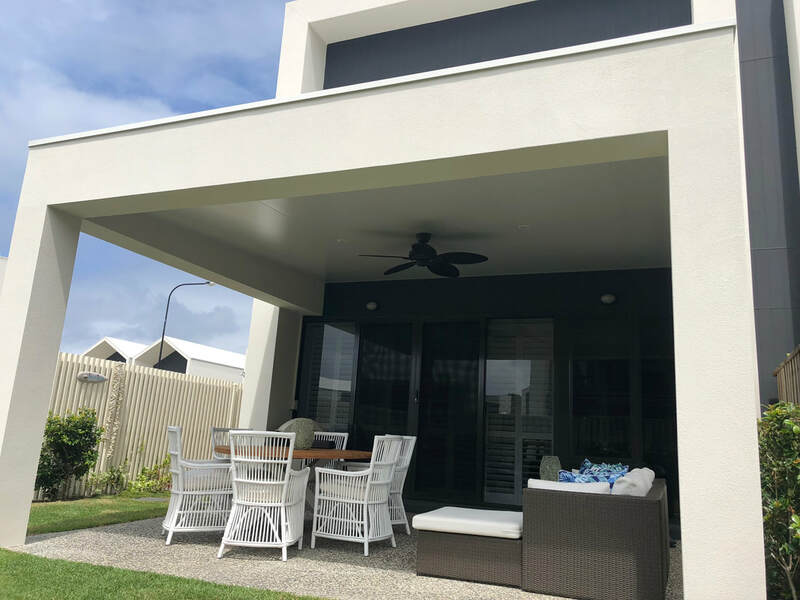 Many new homes are built with small outdoor living areas which is not ideal for many Queensland Families where outdoor living is a priority. 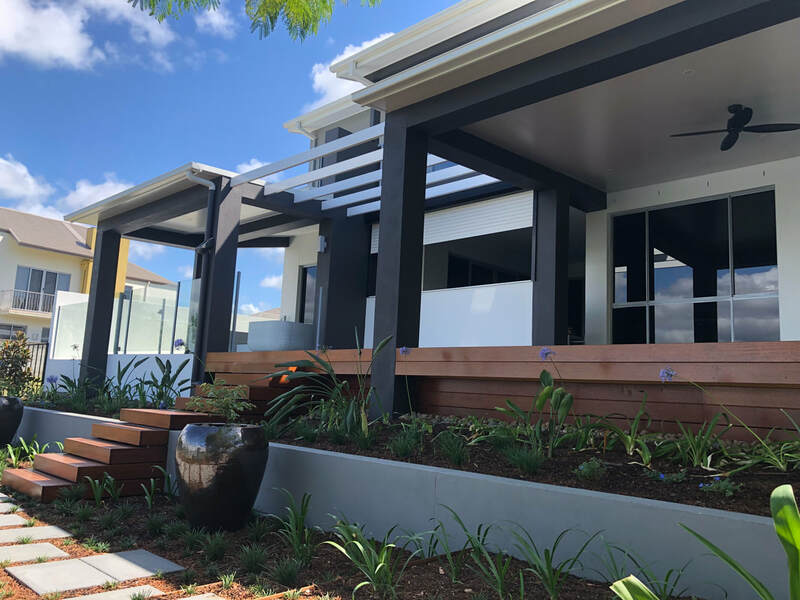 This project in Upper Coomera backed onto a nature reserve so we had to design for this flat patio to blend with the natural surroundings in mind, but also staying modern to match the house. 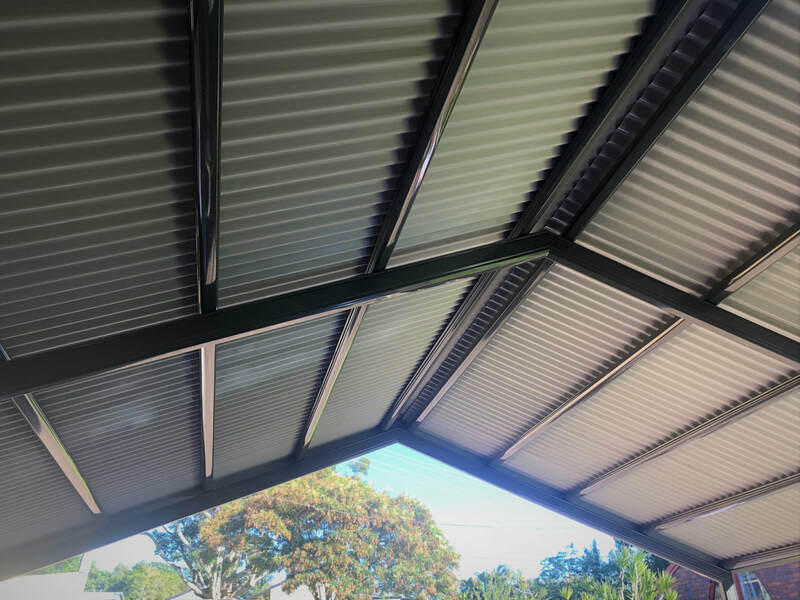 We utilised Cooldek insulated roofing for its clean smooth ceiling, with steel beams to maximise the spans and reduce the number of posts. 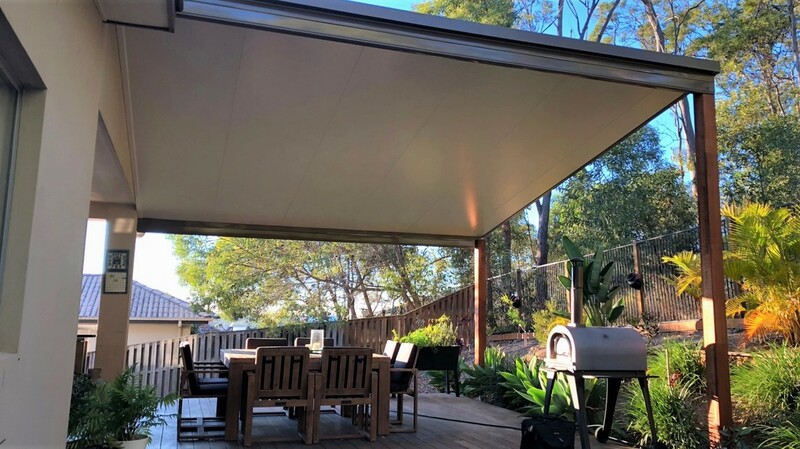 We matched this with the natural Merbau/Kwilla 140mm x 140mm posts to tie in with the deck and natural surrounds. 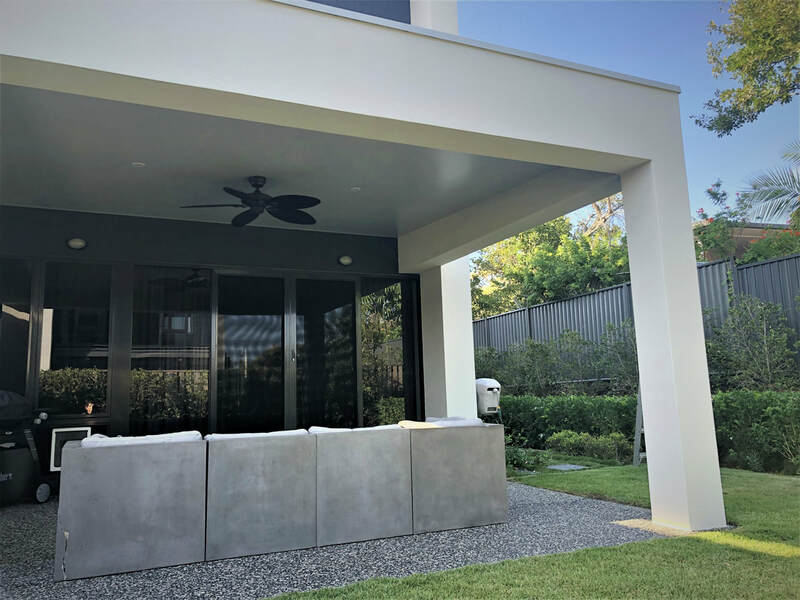 One of our latest projects in Miami on the Gold Coast has showcased our clients design flair in the choices they made with this flyover Cooldek patio. 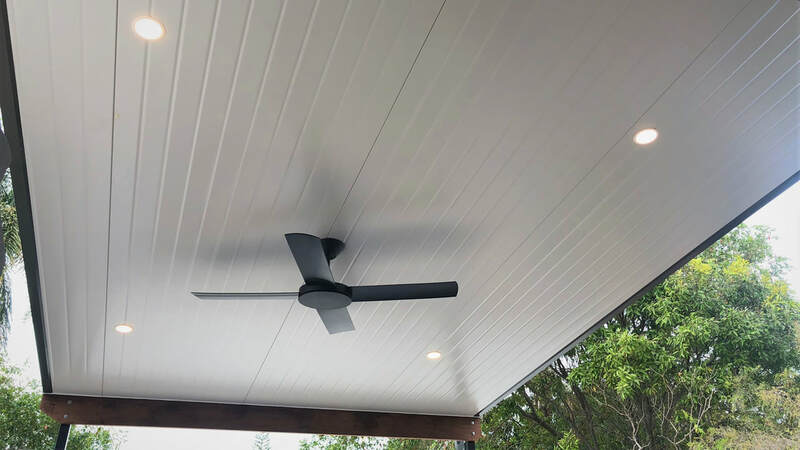 This use of the Stratco Cooldek V-Groove profiled ceiling ties in with the surrounding materials in and outside of the home, while the black fan and posts add a modern touch alongside the earthy Merbau Beam. 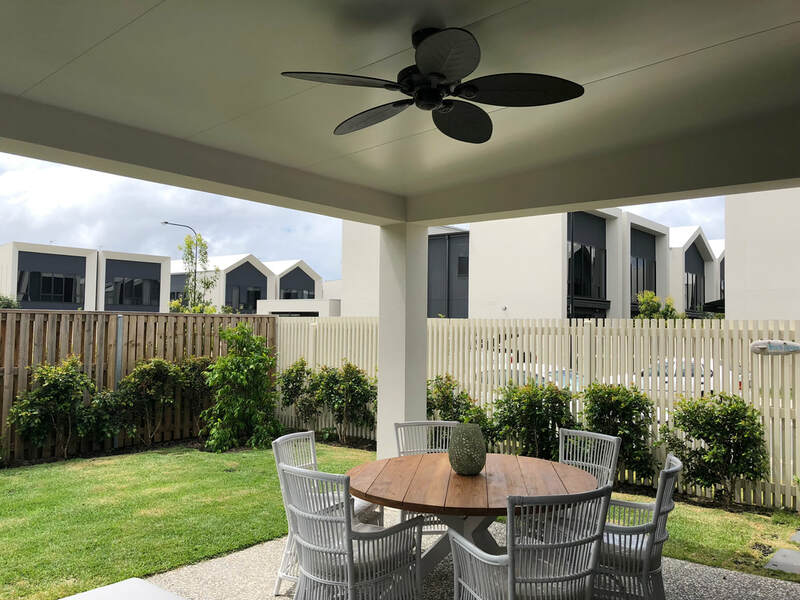 While it's not a big zone, they have certainly maximised their outdoor space and ability to entertain outside. 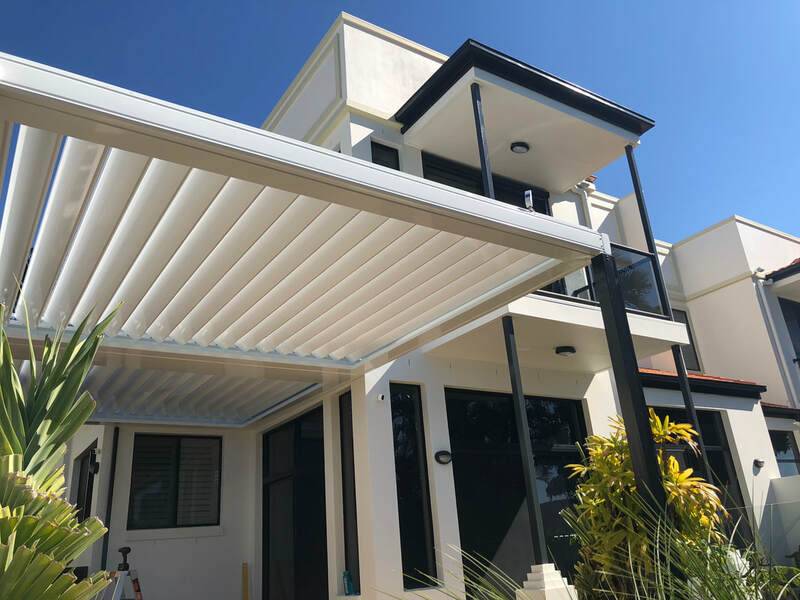 The unmatched versatility of the Stratco Sunroof opening roof patio was the only choice for this waterfront property in Surfers Paradise. 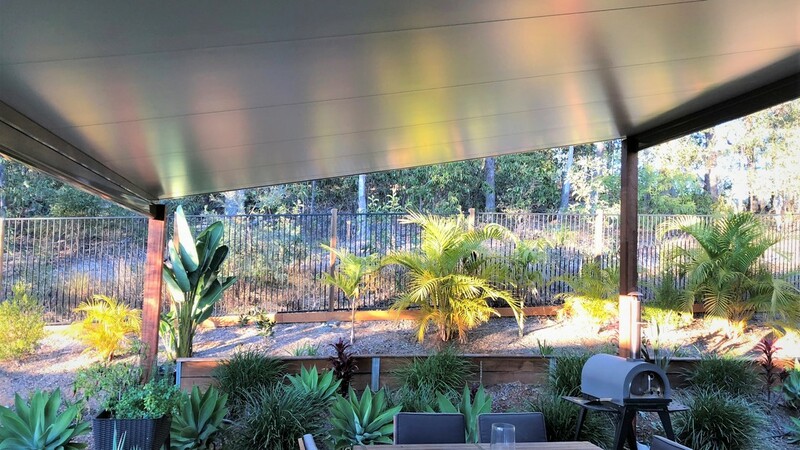 ​The ultimate in flexibility to let allow the warm winters sun in OR to block out the harsh summer rays at the press of a button is the deciding factor for many. 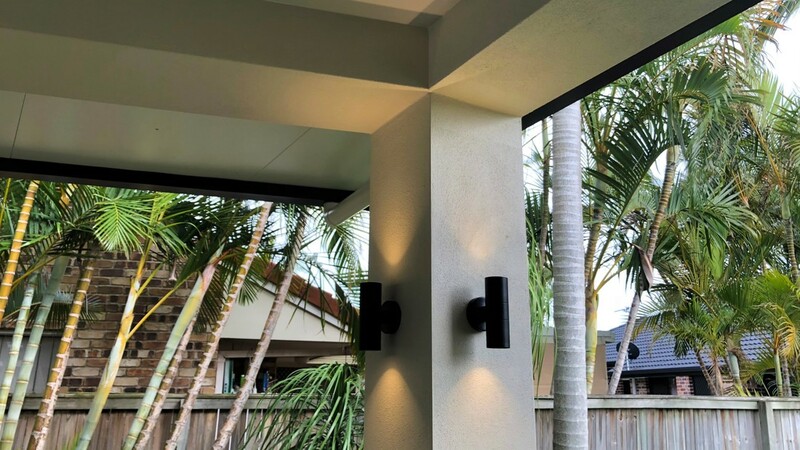 ​Brightening your home when you want, and to the level you want cannot be achieved with any other system. 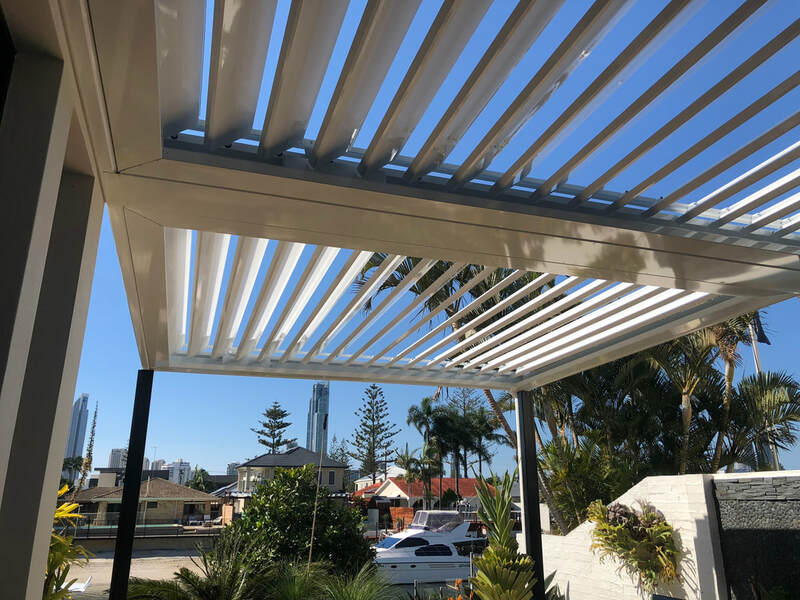 ​With an automatic rain sensor and Aluminium blades as standard on all Stratco Sunroof systems, it is a step above the rest! Do you need another living room? A bigger kitchen or dinning room? 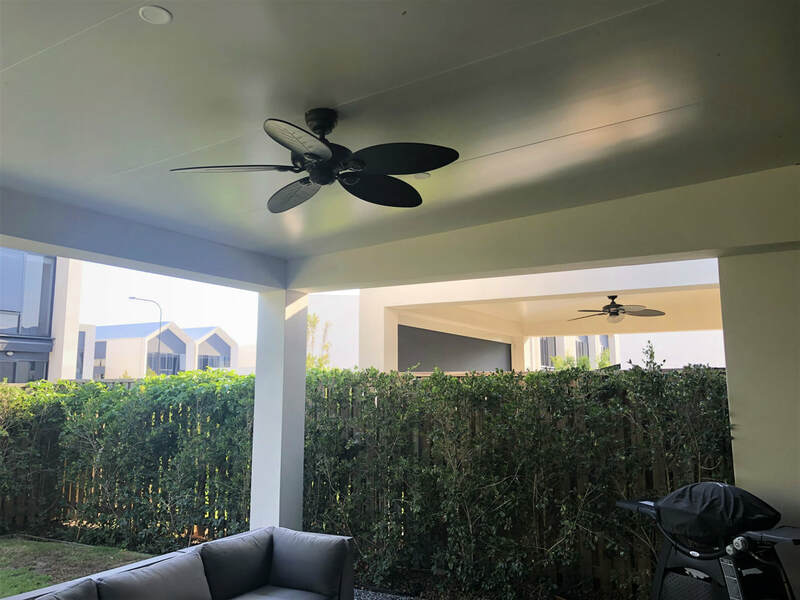 ​This HUGE Stratco Cooldek Flyover patio has nearly doubled the living space of this home and will be the busiest part of the home year round! 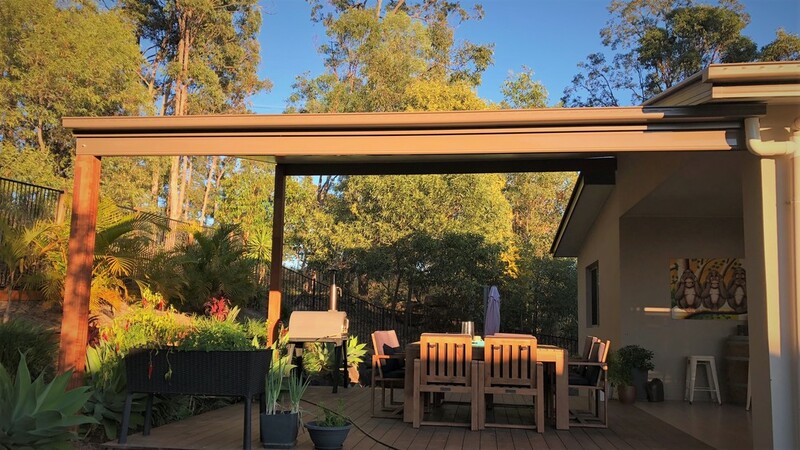 ​The 90x90 Merbau timber posts help the patio blend in with the natural surroundings and the added fans will ensure that hot summer days are a thing of the past. 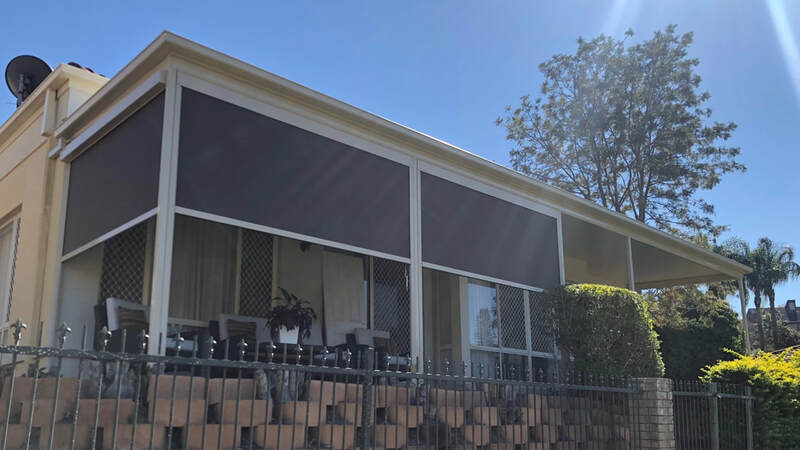 ​We also added some Stratco Ambient blinds in the 5% fabric to help with added privacy from neighbouring properties. 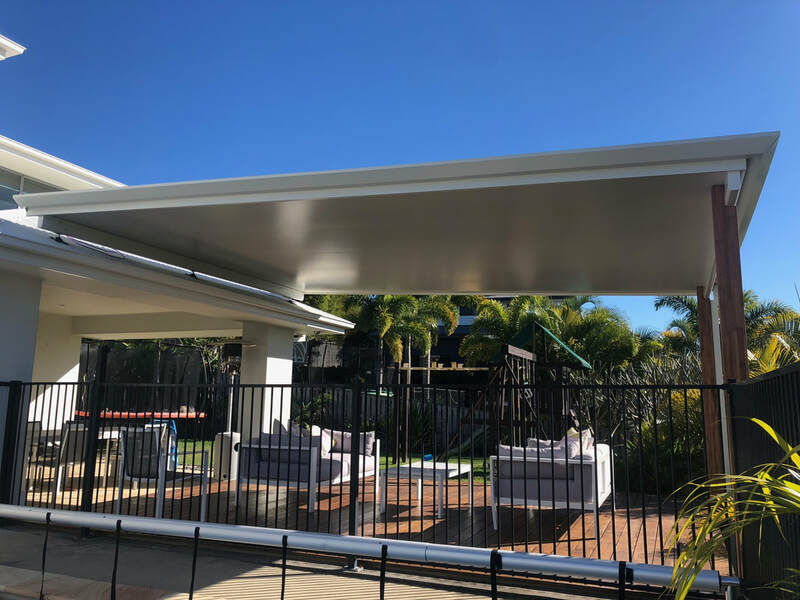 Functionality is the key with our latest Cooldek Patio in Benowa. 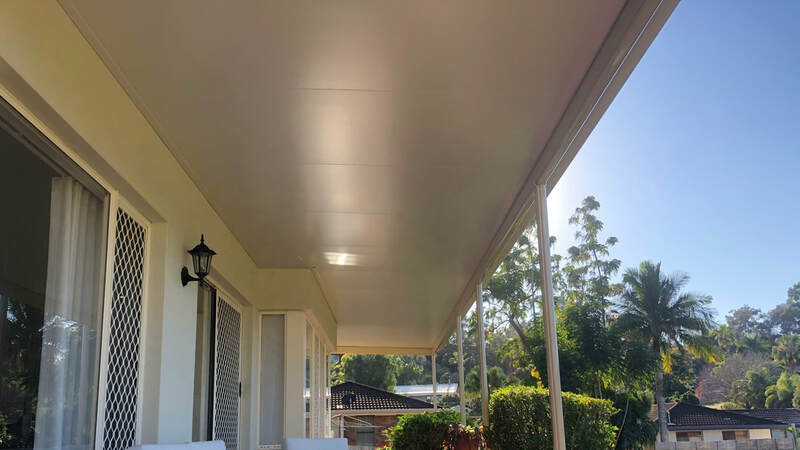 ​The ever popular Stratco Cooldek Insulated roof was the best choice for this project which spans the entire width of the house. 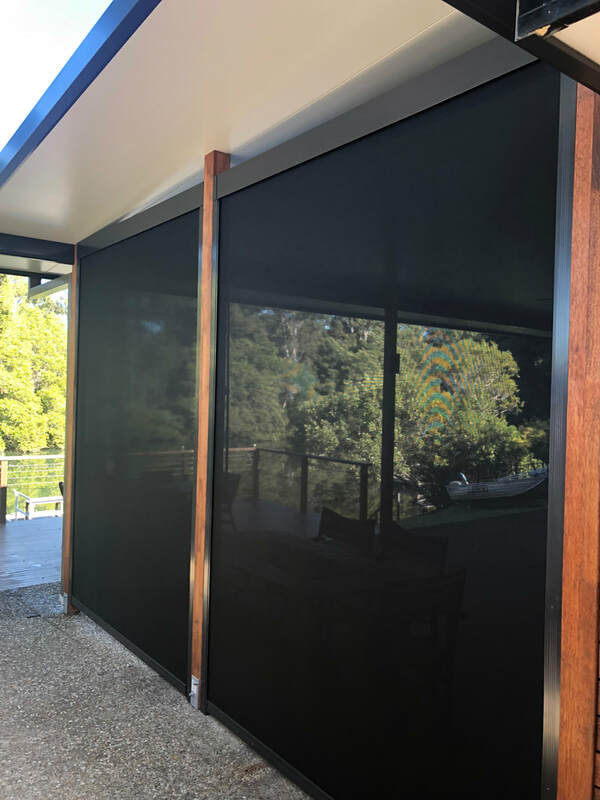 ​Our client also wanted to increase their privacy as they wished and the addition of Stratco Ambient Blinds has done this in the best possible way. 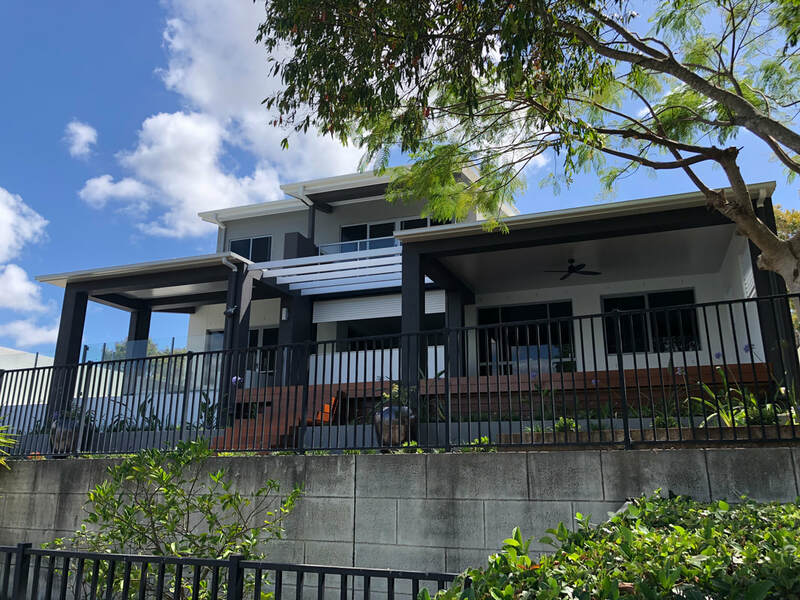 With an ever growing family and the need for more cars​paces our client wanted a design that was going to tie in with the existing house roof line and blend in with the surroundings. 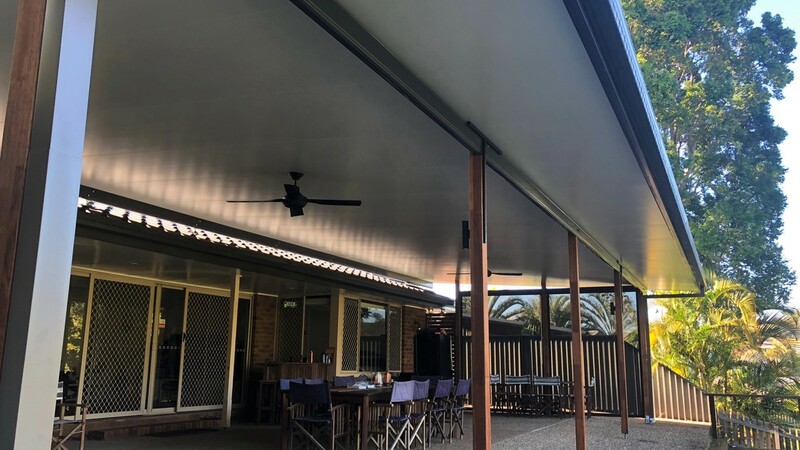 ​The versatility of the Stratco Outback Multispan range allowed us to create a double Hip End to create a seamless design and there is no doubt that the strength and design of the Stratco Gable systems are leaps and bounds in front of the competition. 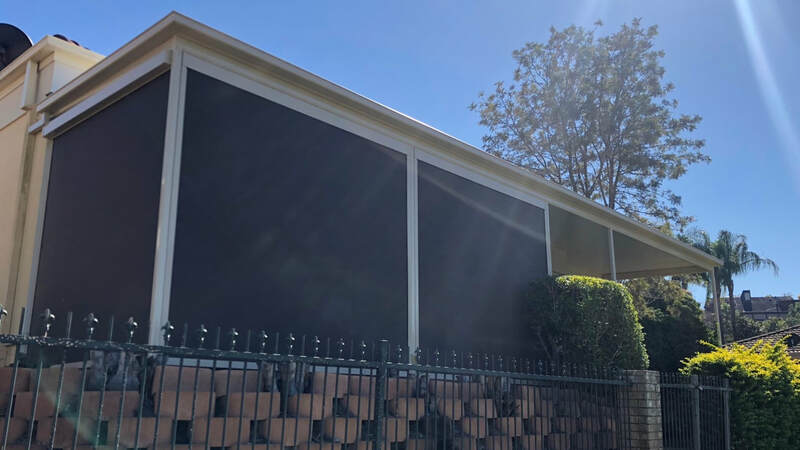 ​We also had a custom screen manufactured for the rear of the carport to help separate the car spaces from the pool area behind. 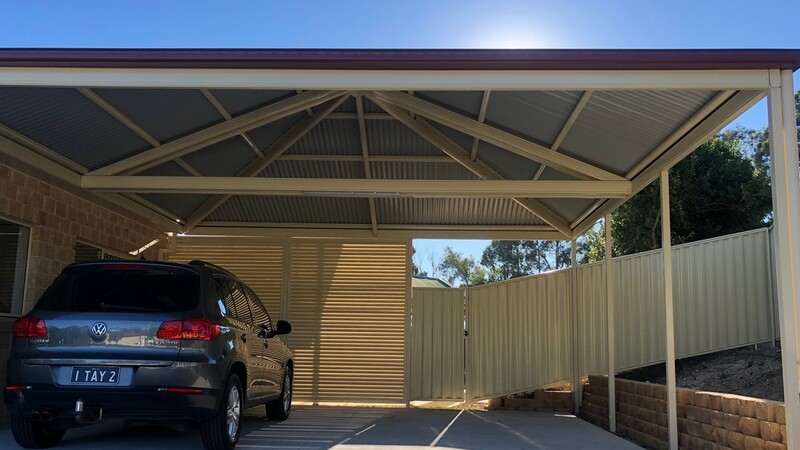 The Stratco Traditional Gable is a versatile carport which provides a cost effective solution to protecting your vehicles, boats or caravan in Tallebudgera on the Gold Coast. The Traditional Gable is a unique design to Stratco, which allows the front to be completely open. 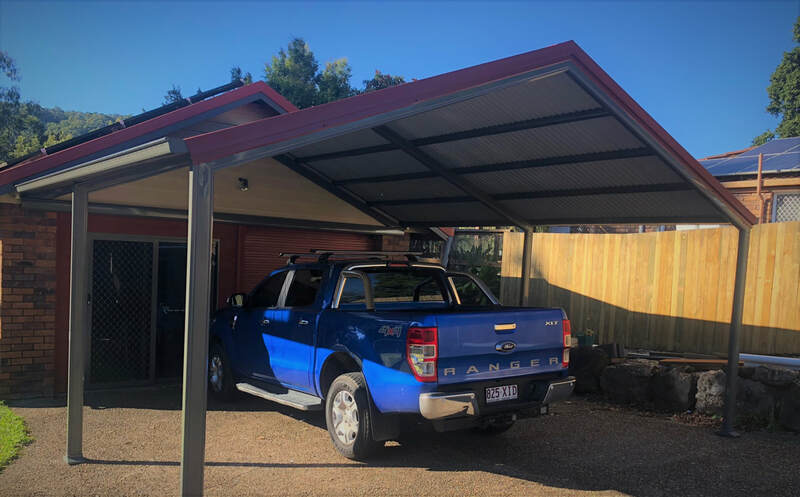 This allowing higher vehicle access, making it a carport suitable for many uses and types of vehicles. 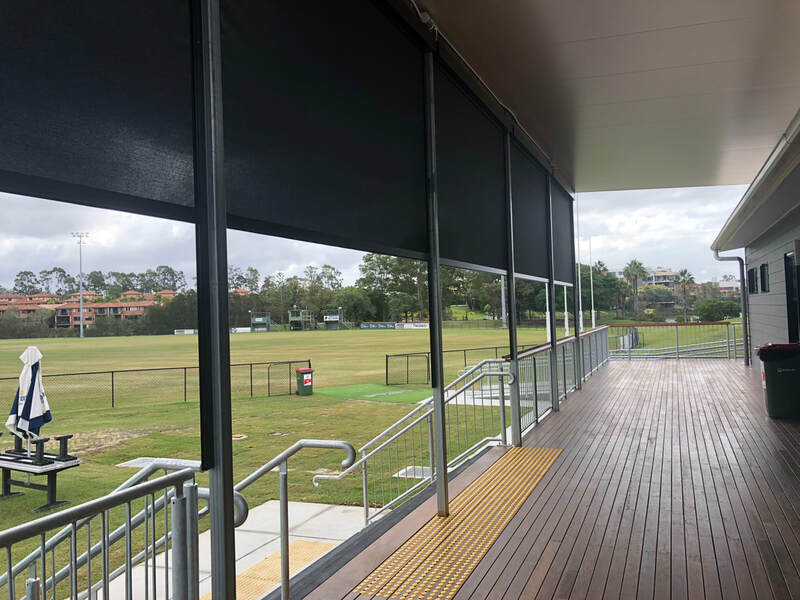 Check out our latest installation of Stratco Ambient Blinds at a Bond University sports facility in Robina on the Gold Coast. 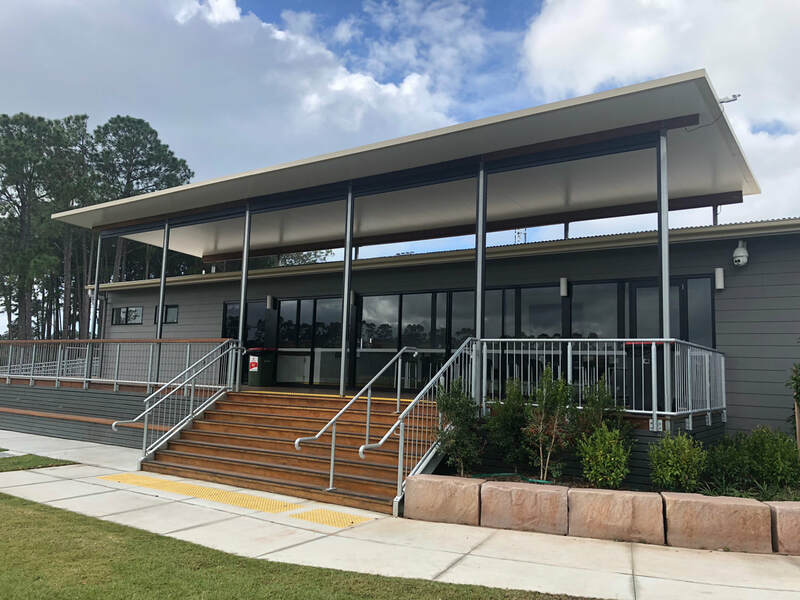 This has made their existing patio and clubhouse usable throughout the entire year. The afternoon sun was beating through the main windows and into the clubhouse, making it uncomfortable every afternoon and limiting the use of their new facility. 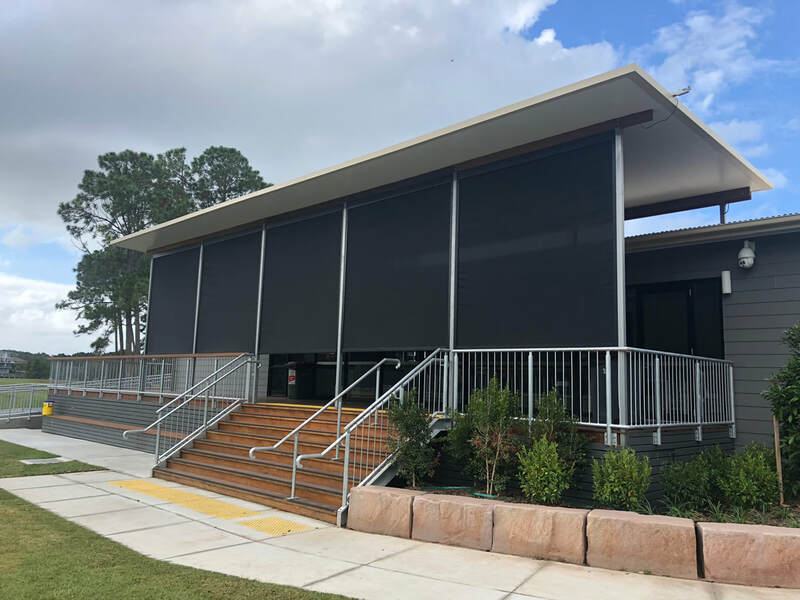 Products of choice - Stratco Ambient Blinds with 1% fabric, automated with Somfy motors, and an automatic wind sensor to lift the blinds in high winds. 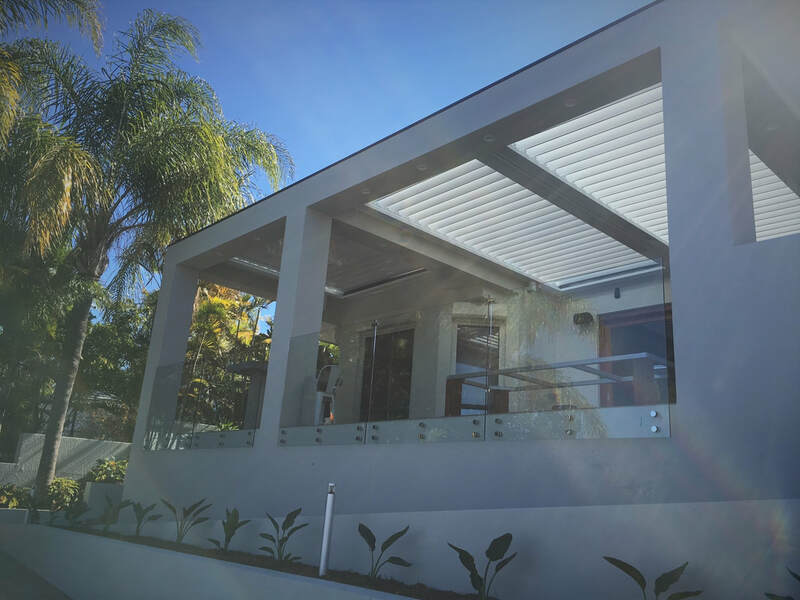 ​The Cooldek Flyover is the most popular patio we build due to its clean, modern appearance. 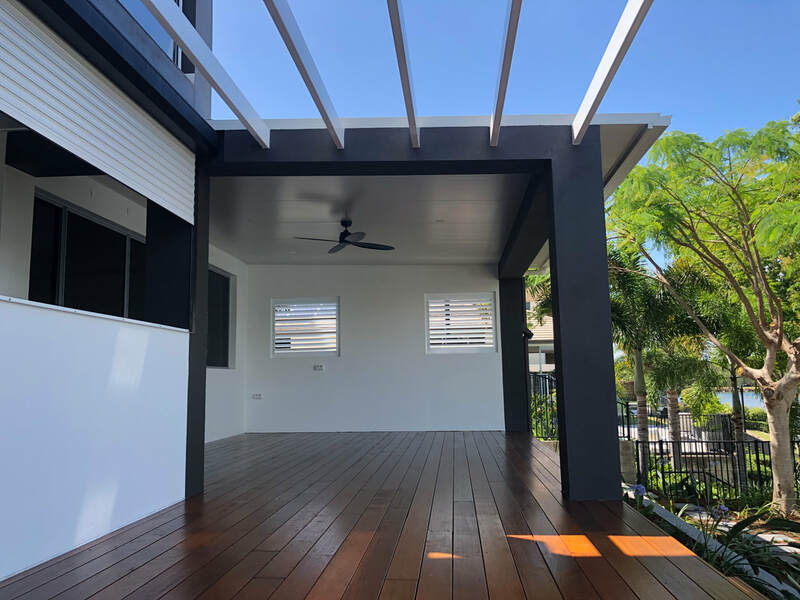 ​This type of patio blends in with any type of home, offering great design and affordability to all properties on the Gold Coast. 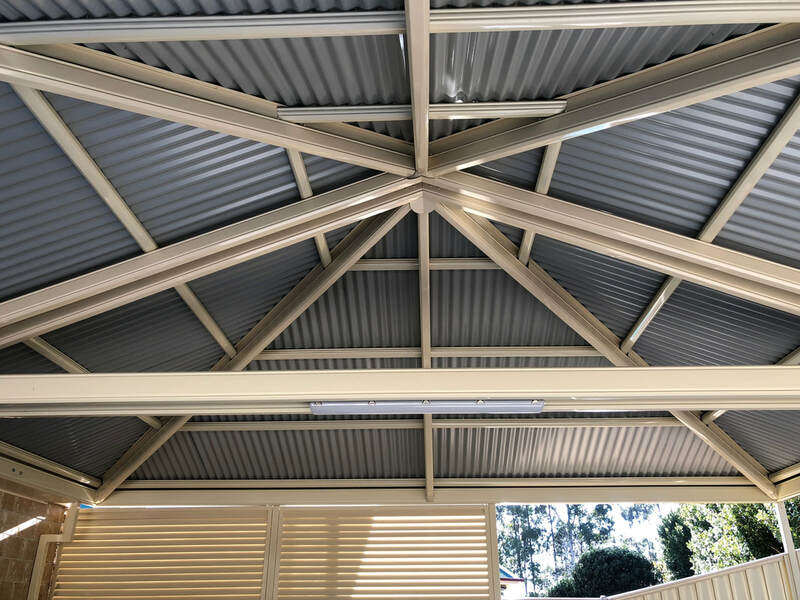 ​This project has paired the Cooldek Insulated roof, with the Outback steel beam, and warm Merbau timber posts. 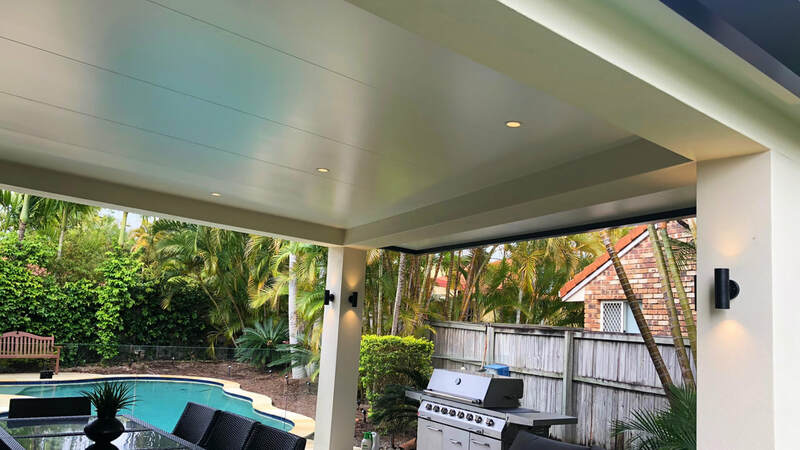 This helps transform the outdoor patio into an additional family entertaining room at this Burleigh home. "I can't speak highly enough of this companies professionalism. 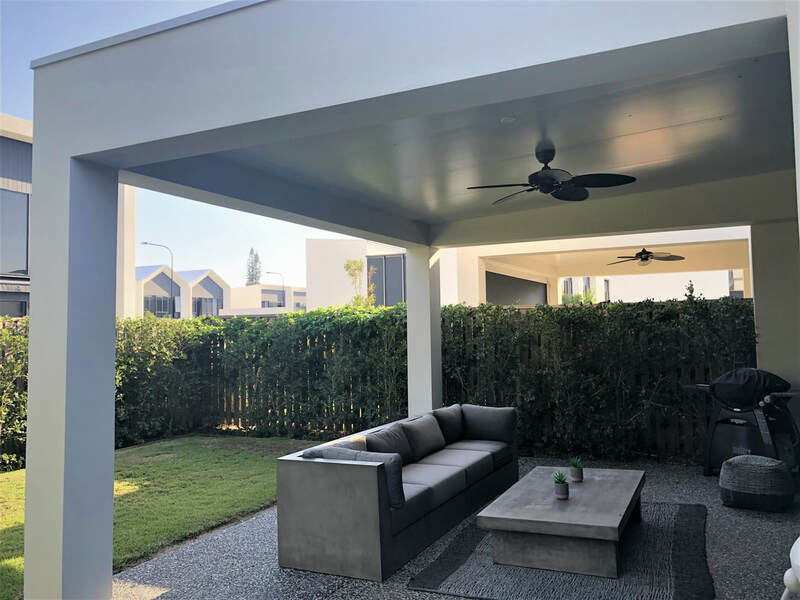 We initially got 3 quotes for our patio and carport. 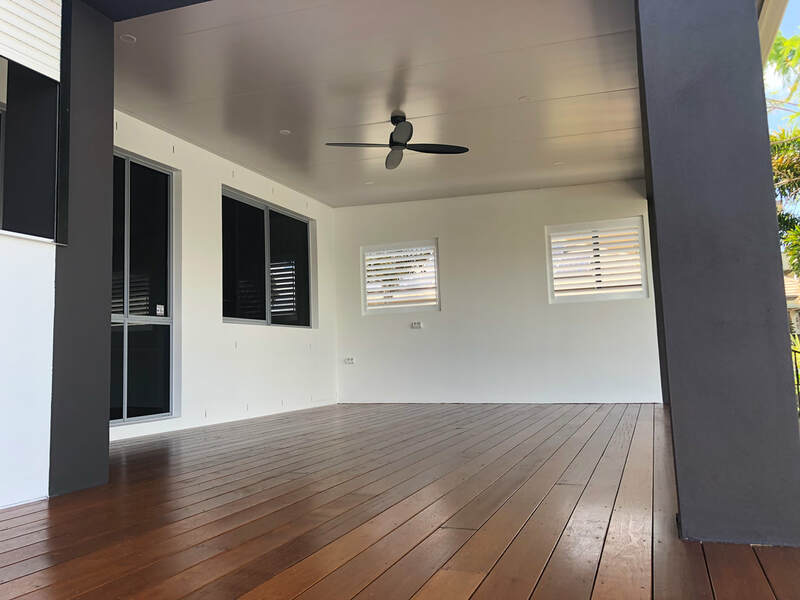 In-Style Patio's and Decks weren't the cheapest, nor the most expensive, however we decided to go with them as they made us feel the most confident that we would be getting a great finished product. Tye and Mike were fantastic to communicate with through the whole process. I never had to follow up, and they always turned up when they said they would. Their team of installers were also really professional. Looking forward to using them again when we re-do the patio at the back of the house. Keep up the great work guys." I would just like to say we are extremely happy with our new patio. 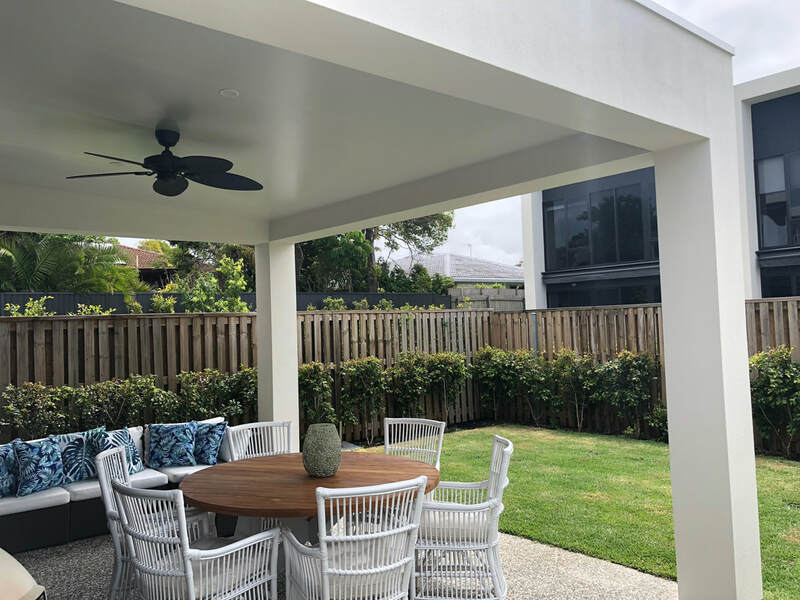 We would like to say a big thank you to yourself and Tye for your patience in getting the job started and also to the two men that did a fantastic job in erecting our patio. 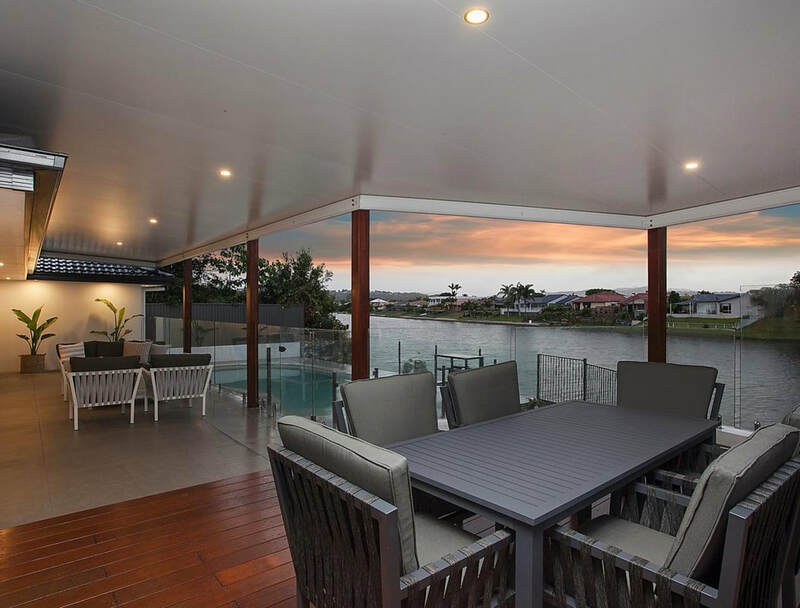 The Pavilion Grande is the pinnacle of Outdoor living with unmatched proportions and design. 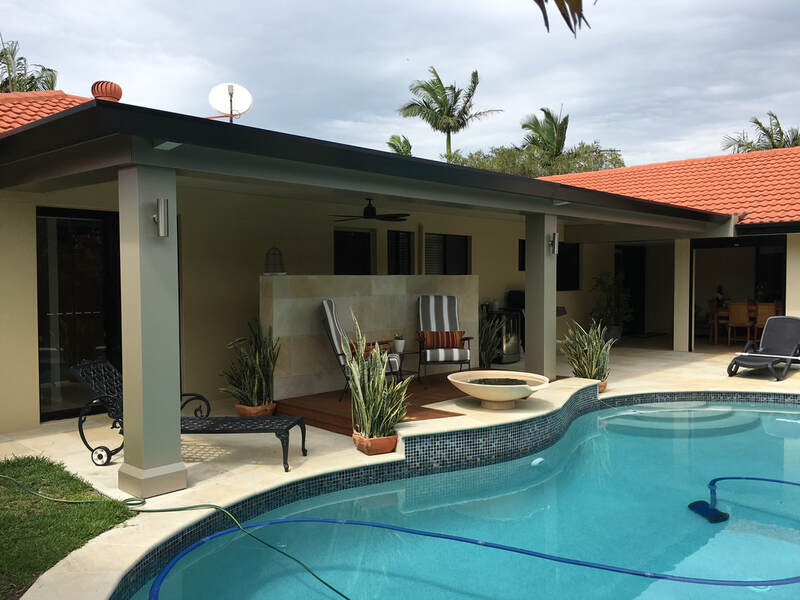 Our latest project in Carrara was part of some major pool and backyard renovation. 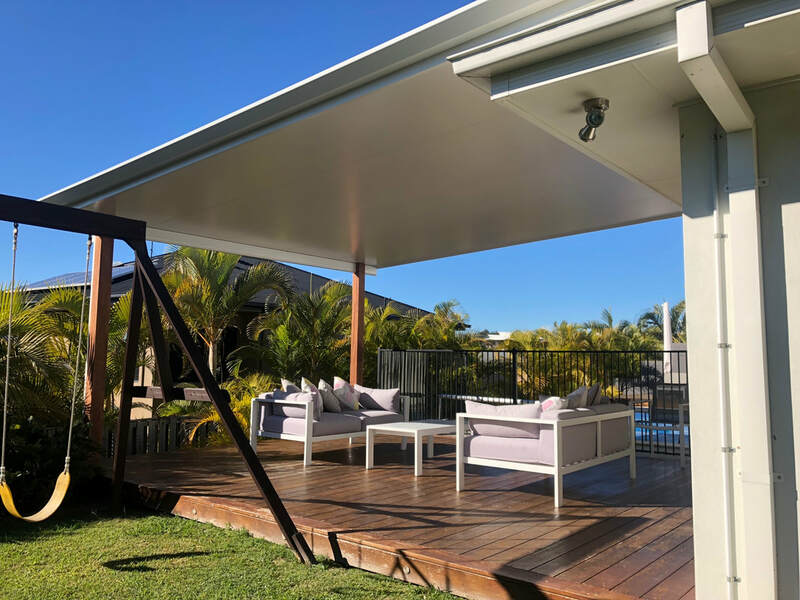 It has solved 2 problems for this Gold Coast client - protecting the adjoining rooms from the weather, and creating an additional outdoor space to enjoy all year round. 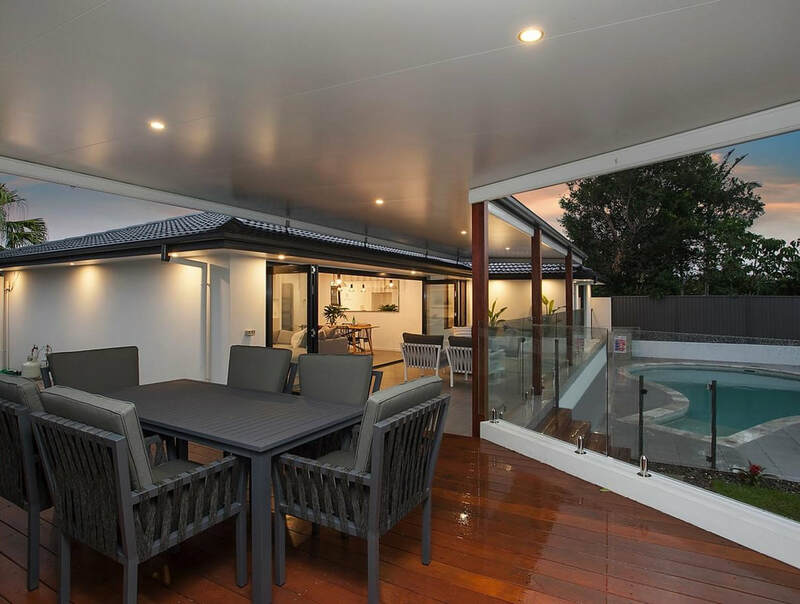 The Pavilion Grande has tied in with the existing home exceptionally well and added significant value to this Carrara property. 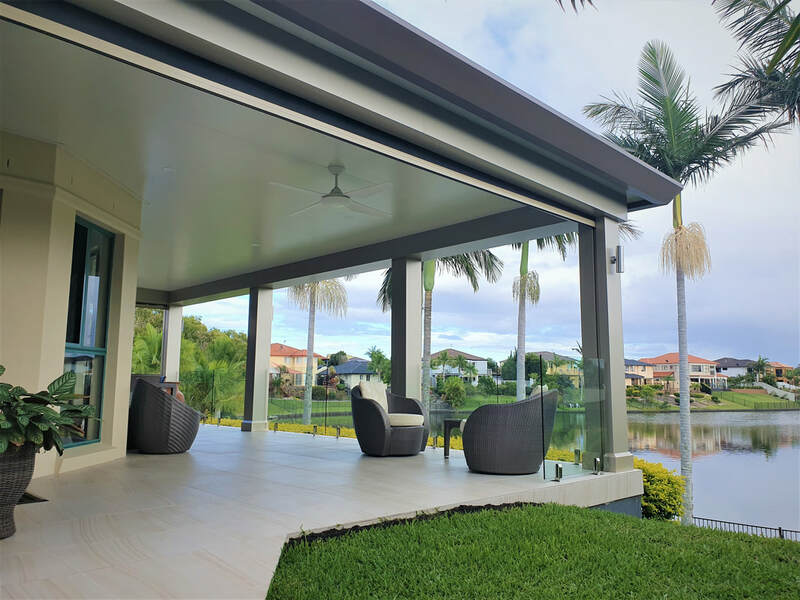 ​In Style Patios are the most experienced Pavilion builders in Queensland constructing the Pavilion Grande, Pavilion Slique and Pavilion Allure systems. 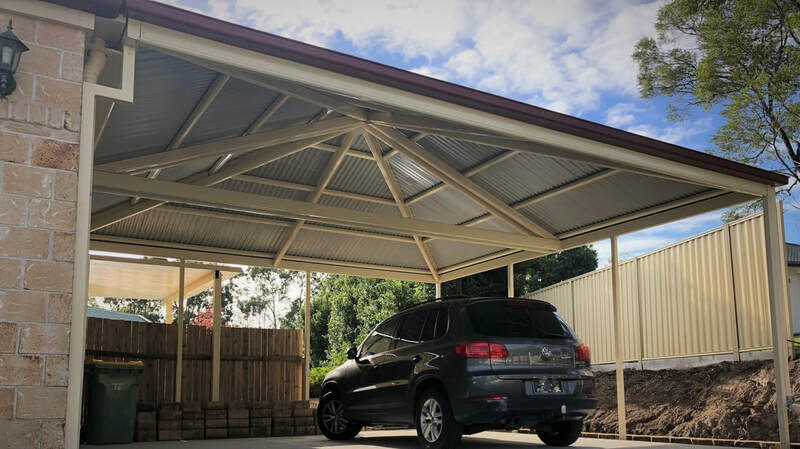 The Stratco Outback Sunroof offers the ultimate in versatility. Perfect for both Summer and Winter, you cannot beat the options at your fingertips. 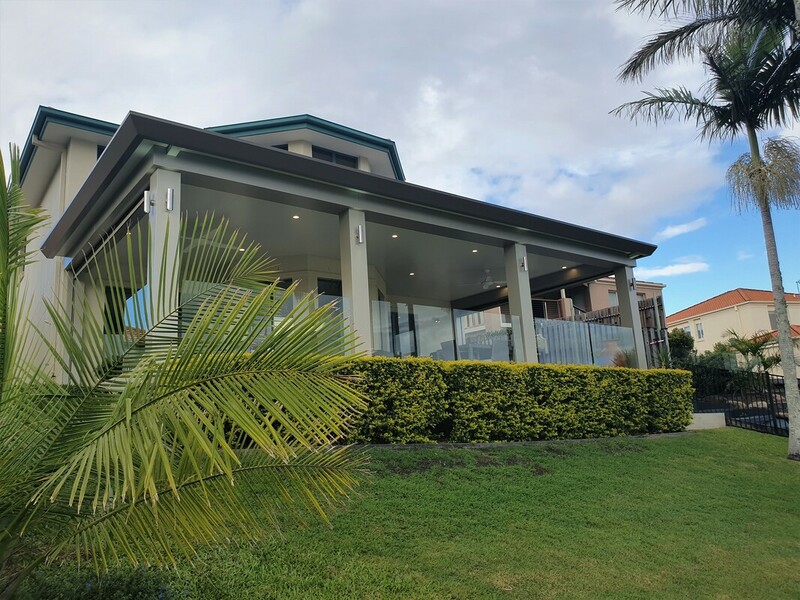 We worked with a builder who pre-constructed the rendered bulkheads, and our crew designed the Sunroof to simply drop into the cavity to complete the area of this Bundall home. 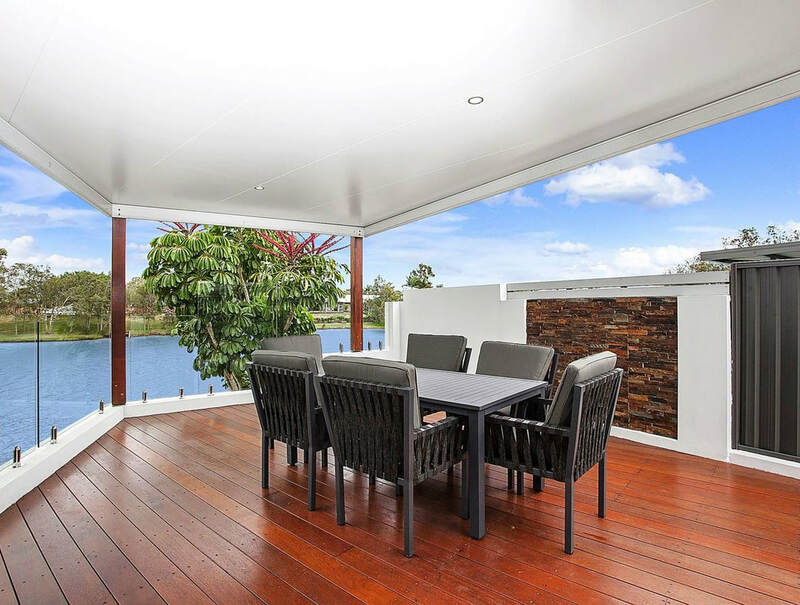 ​In Style Patios are the experts in this type of construction with Gold Coast properties. Contact us today to discuss your design! 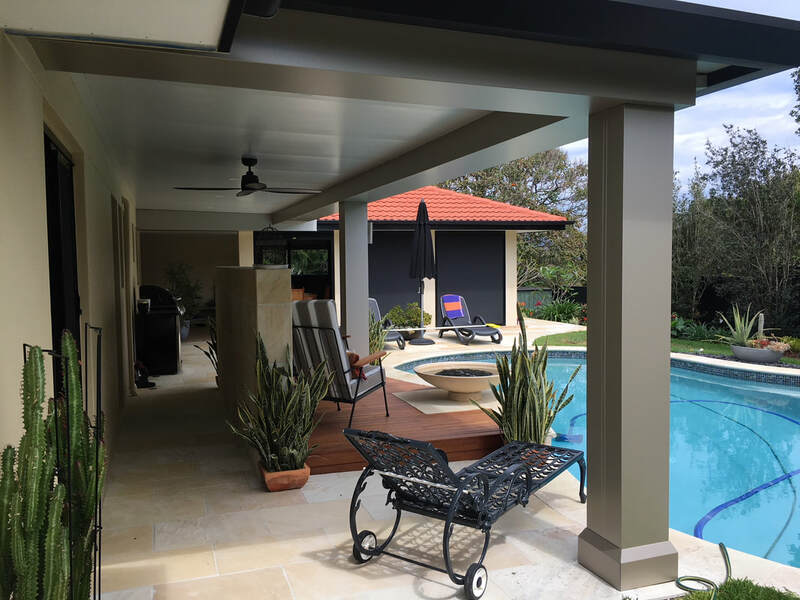 In Style Patios and Decks wide range of products and designs caters for everyone. 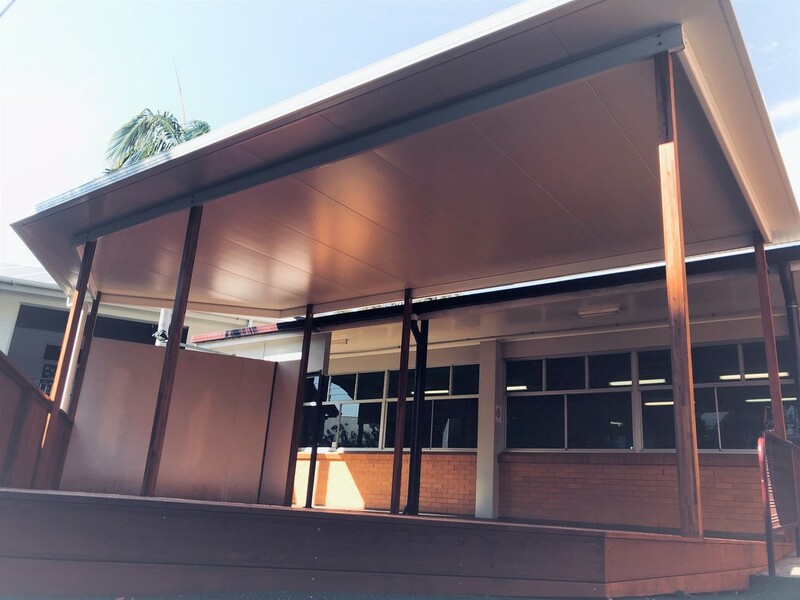 Sacred Heart School in Sandgate were the proud recipients of a new outdoor class room, featuring a Merbau timber deck and Insulated Roof. We also constructed a wall at the rear to mount a whiteboard to make the area more functional. ​The design was originally designed by an architect utilising less efficient building materials and older construction methods. 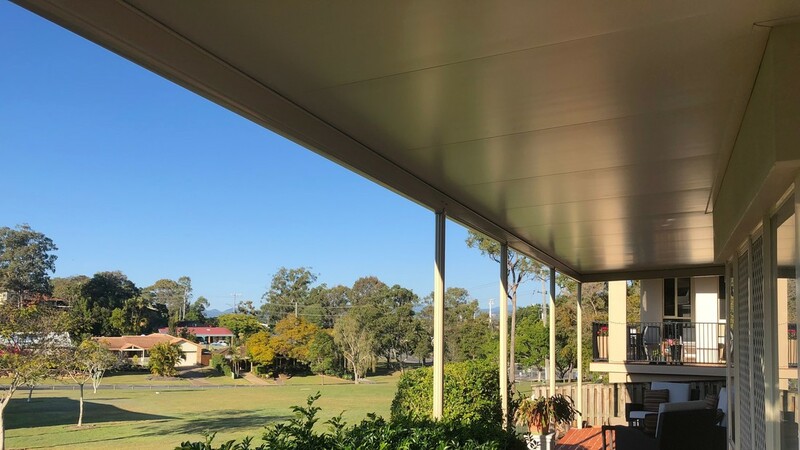 ​We re-specified the design using the latest materials and saved the school over double the cost of the original quotes, while maintaining the same look the architect and Brisbane School wanted.